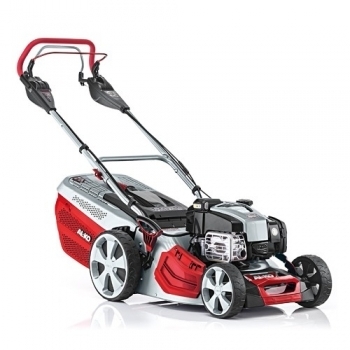 The AL-KO Highline 477 VS features a Briggs & Stratton engine, 46cm cutting width and variable speed control.The AL-KO 477 VS is fitted with a variable-speed gearbox allowing the user to both reduce and increase the forward speed of the mower to match the cutting conditions. Change the cutting heights simply with a central height adjuster to 7 stages between 30 and 80 mm. The Highline range of self-propelled mowers have been designed with extra wide grass discharge chutes, tall steel plate cutter decks and a unique MaxAirflow technology which improves the catching performance. The discharge chute is less likely to block when mowing thick and long grass. The AL-KO 4-in-1 cutting and mowing functions allow for mowing without collection, with collection, mulching, and side discharge, each function is easily selected without any need for tools. Aerodynamically Optimised Deck: Brand new, extra tall, steel plate cutter deck, extra-wide discharge chute, and unique MaxAirflow technology, a clearly improved airflow and catching performance is achieved, which can mow thick and tall grass without problems, without leaving clumps of grass on the ground or blocking the discharge chute. Perfect Grass Catcher: The 3 piece grass collector is much easier to assemble and fills more effectively thanks to a shortened design. This means that you won’t have to empty the collector as often. When the collector finally needs to be emptied: added back protection and no risk of finger trapping is due to the new EasyClick grass collector mounts. Variable Speed Transmission: The AL-KO 477 VS is fitted with a variable-speed gearbox allowing you to both reduce and increase the forward speed of the machine to match the mowing conditions. Balance & Storage : Front carry handle and standing storage position. The 650EXi SERIES™ engines combine powerful performance with new levels of easy operation. Easy to use, easy to maintain, easy to start - the EXi SERIES delivers a new engine experience for the most demanding of users. 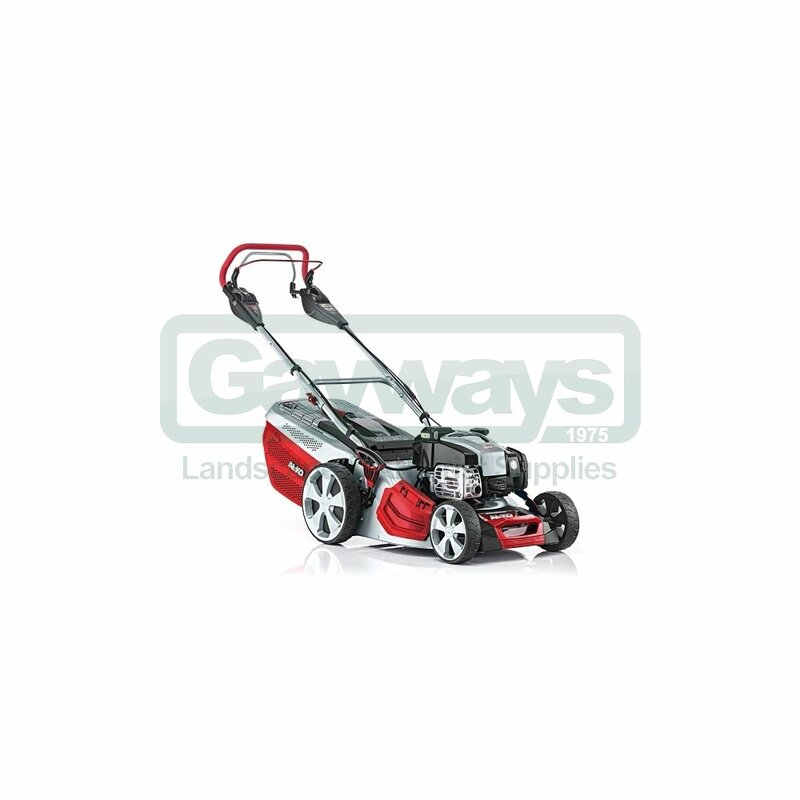 It is the lightest engine in its class, making it easy to use, manoeuvre and store. Easy features are everywhere, including ReadyStart® and simple maintenance features like tool-less filters and air cleaners. The advanced, powerful OHV platform for more performance, less consumption through optimal valve location and design of chamber. The precision engineering means the Briggs & Stratton EXi SERIES needs no regular oil change - just an occasional top-up. A multi-purpose machine, AL-KO's prized 4-in-1 function features mowing, collecting, mulching and side discharge capabilities. Extra tall, extra large – that's the basis for MaxAirflow technology. This is because the extra tall steel plate deck and extra large discharge channel increase the airflow by 42 per cent. As a result, the grass clippings are not transported at a low level into the grass catcher as in the case of most standard lawnmowers, but are instead thrown backwards in a high arc and remain at the back. This means the grass catcher is effectively filled from the back, without the discharge channel becoming blocked. Another bonus: The removable service flap for convenient mower maintenance. MaxAirflow technology means that it is even possible to mow long, damp grass without leaving clumps behind on the ground or blocking the discharge channel. This means your hands stay cleaner. An innovative AL-KO concept, this mower features a unique service position which enables the mower to stand on end when the fuel tank is empty. This allows easy cleaning and maintenance of the underside of the mower deck, plus the advantage of more compact storage. Large EasyClick grass box with level indicator. Comfortable, seven stage cutting height is simple to adjust using a single lever. Extra high drive wheels for added traction and easier turning in long grass. Ball bearing wheels won't stiffen up over time. Main lawn mower body comes fully assembled in the box. 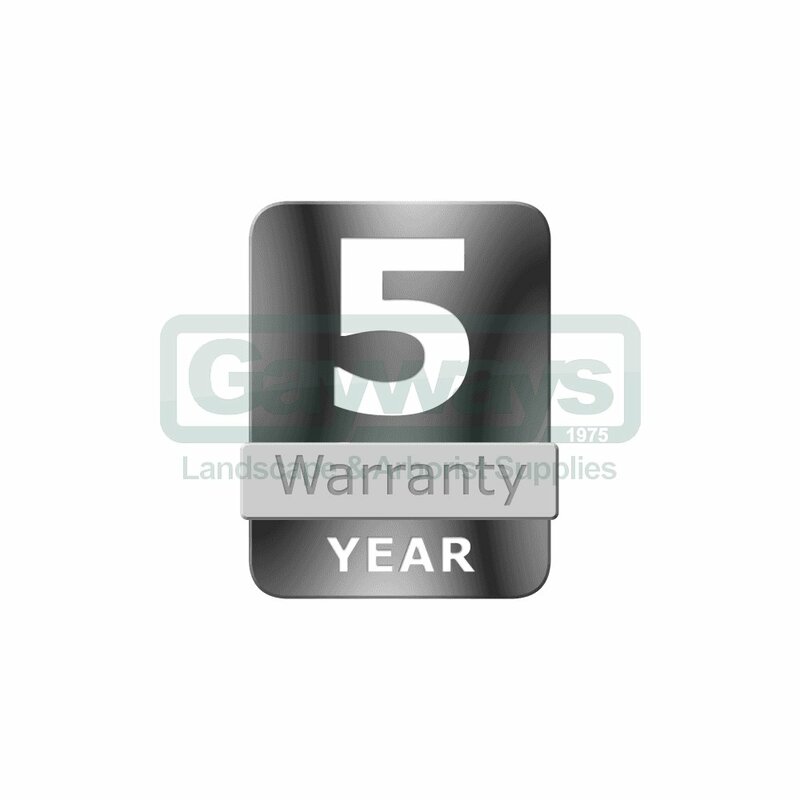 AL-KO petrol lawn mowers are now backed by a five year warranty for domestic use.